Content Warning: This report features descriptions of images that represent hateful, violent ideologies, including those connected to white supremacist terrorist violence and genocide. We have opted to isolate the images themselves in an appendix at the end of the report (Appendix A), but there are disturbing descriptions of images throughout the report. Click here to tell Amazon to stop doing business with racist hate groups! Amazon has been called the “everything store,” but today it is much more than just a store, with publishing, streaming, and web services businesses. Its reach and influence are unparalleled. A close examination of Amazon’s various platforms and services reveals that for growing racist, Islamophobic, and anti-Semitic movements, the breadth of Amazon’s business combined with its weak and inadequately enforced policies provides a number of channels through which hate groups can generate revenue, propagate their ideas, and grow their movements. Hate movements are resurgent in the U.S. and around the globe. Amazon must take a public stand against hate and violence, and take action to ensure that it is not profiting from hate or enabling others to profit from hate. Across its platforms, Amazon has the right to determine what it sells, publishes, and helps to deliver online. As a wealthy corporation, it has the resources to ensure its policies are enforced. Amazon has an ethical and moral responsibility to stop delivering hate to the world. Amazon enables the celebration of ideologies that promote hate and violence by allowing the sale of hate symbols and imagery on its site, including Confederate and anti-Black imagery, Nazi and fascist imagery, and the newly adopted imagery of the modern white nationalist movement. Additionally, a number of these products are targeted at children. 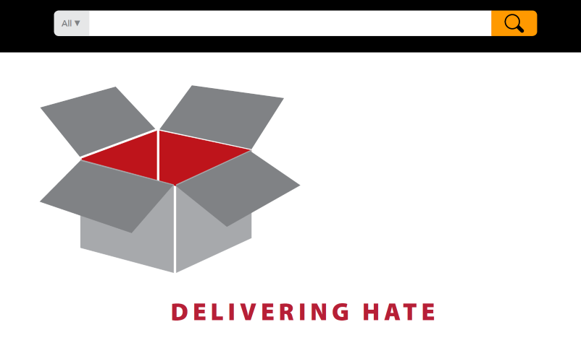 As a publisher of media in e-book, print book, and streaming formats, Amazon facilitates the spread of hate ideologies, including white supremacy, anti-Semitism, Islamophobia, and homophobia. Amazon provides a platform for openly racist writers, musicians, and activists, including some who advocate for violence against Black people, Muslims, Jewish people, and LGBTQ people. “offensive” content,11 while its web services division (AWS) forbids users from using AWS “to transmit, store, display, distribute or otherwise make available” offensive content. Either Amazon does not find the materials outlined in this report offensive or otherwise contrary to its policies, or it does not consistently enforce its own policies. Amazon has been reactive, not proactive, in its response to use of its site by peddlers of hate. Amazon has a history of responding slowly—or not at all—to public pressure on this front rather than effectively preventing hate groups from using its platforms in the first place. 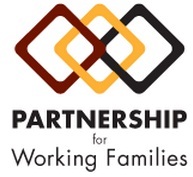 our friends at the Partnership for Working Families. Across its platforms, Amazon has the right and responsibility to determine what it sells, publishes, and helps to deliver online. Now is the time to make clear that Amazon does not support or condone the spread of white nationalist ideologies.